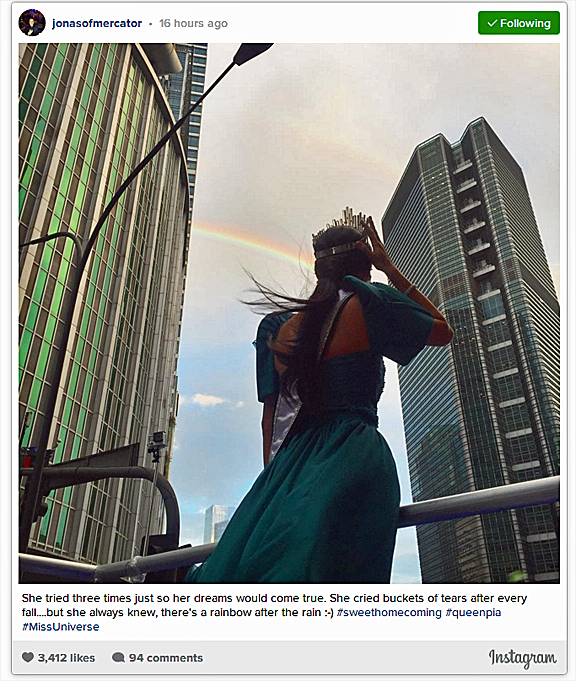 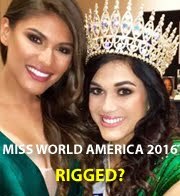 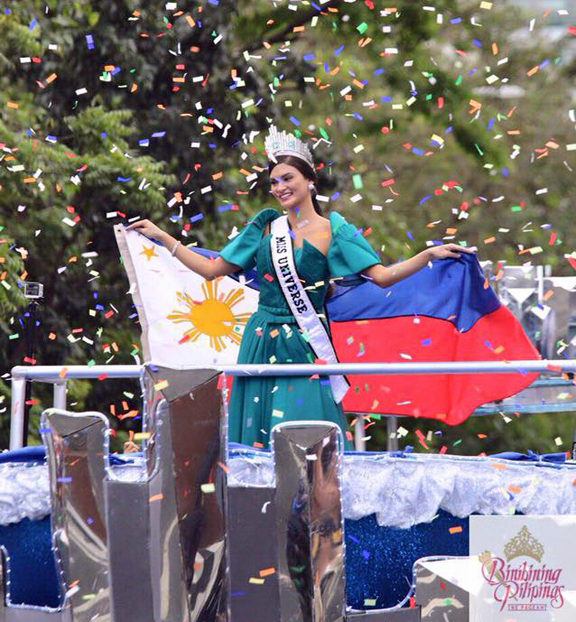 Miss Universe 2015 Pia Alonzo Wurtzbach was feted to her homecoming parade on Monday, January 25, in Manila, Philippines. 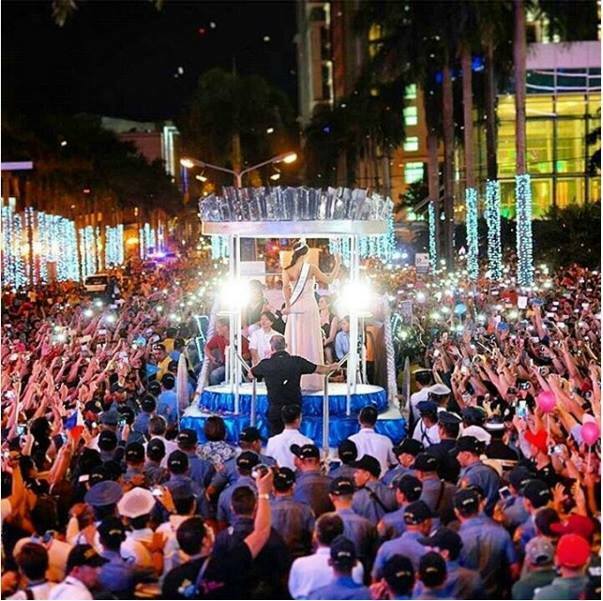 The beauty queen, wearing her crown and a sea-green gown by Filipino fashion designer Albert Andrada, was met with loud cheers from the huge crowd everywhere the float took her. 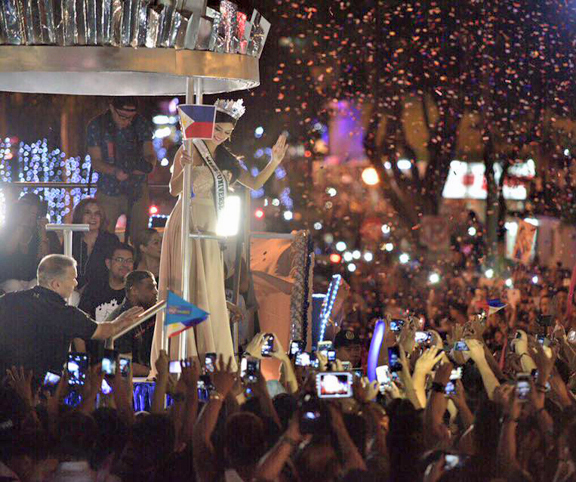 The parade started around 2:30 p.m. and wrapped up around 8:00 p.m. when Pia spoke at another press conference at the Araneta Coliseum.